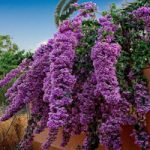 This is the group where you post all your gorgeous Bougainvillea wallpapers. Share your beautiful color flowers and wide variety with all visitors and members here. Please in you are a visitor, consider joining my Bougainvillea group and sharing your gorgeous Bougainvillea wallpapers. Bougainvillea must be the main focus of your photos. Questions? Please contact me directly or ask your questions on our chat board and someone will contact you a.s.a.p. Please no Spam is allowed in this group and will result in banning from the group and report to Nexus. Thank You for your consideration. Page rendered with 6 queries (and 0 cached) in 0.049 seconds from server 48.